What do you get when you place Sudbury’s Regional Innovation Centre, a globally recognized Centre of Excellence in training and development and health and safety, and a vibrant innovation incubator under one roof? The answer is NORCAT. We also have a fully functional operating mine that serves as an underground technology testing centre and mine-training facility, as well as a state-of-the-art makerspace, to support our burgeoning advanced manufacturing and mining-related clients. Kind of cool for one of the long-standing organizations supporting and fostering innovation, commercialization and entrepreneurship in our country! Over the past year, NORCAT has engaged with its customers, community stakeholders and partners to better understand how we can continue to do what we do, but also do more and do it better and faster. Using the information we gained, we have developed and implemented an array of new programs, services and resources to help start and accelerate the growth of innovative companies. Here is a brief sample of some of them. NORCAT is the only regional innovation centre in North America with a fully referenceable operating mine that provides both startup ventures and multi-national companies with the resources, infrastructure, expertise and equipment required to design, prototype and test their equipment in an underground mine environment. In addition, NORCAT has recently partnered with an array of companies to incorporate leading-edge mining-related technologies into our underground centre to create a “mine of the future” showcase site. NORCAT provides startups and larger companies with access to advanced manufacturing and electronics resources, expertise and state-of-the-art equipment, including 3D printers, computer numerical control machines and EMC testing services, as part of our product design, prototyping and testing service offerings. This past fall, NORCAT partnered with MaRS to launch a satellite group for Entrepreneurship 101 in Sudbury, an educational program delivered by “been there, done that” entrepreneurs who cover a variety of topics aimed at providing participants with the information they need to start and grow their businesses. With over 75 people registered, we are happy to say that entrepreneurship is alive and well in Sudbury! This winter marked the launch of Startup Drinks Sudbury, an informal networking and experience-sharing forum to engage our would-be and existing entrepreneurs in the community. This event gives entrepreneurs the chance to get to know each other and to connect in a casual environment. 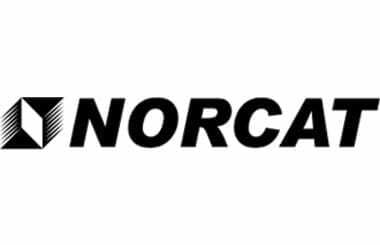 At the core of NORCAT are our clients. The following is a selection of ventures that have received support from NORCAT’s programs and services. Dura 21 helps businesses with three things: reducing costs, increasing revenues and providing an environmental advantage. They do so through their Duragenic Process, a patented methodology that uses root cause failure analysis and cryogenic technology to increase the durability, longevity and safety of metal parts. Dura 21 helps companies realize higher productivity and lower parts costs by extending the service life of machine parts and perishable tools by as much as 15 times. Dura 21 currently serves the mining, milling, smelting and refining industries in Northern Ontario, and has aggressive expansion plans in both the global mining industry and other relevant sectors. Advanced Health Monitoring Platform is a startup focused on enabling people to better monitor and take ownership of their health. The company’s point-of-care/in-home diagnostic system uses the technology of the smartphone, the chemistry of bioluminescence and the simplicity of a glucometer-like testing that, when packaged together, become a sophisticated and inexpensive home-testing analyser that assesses the levels of various chemicals and toxins in the body. With this information, users can then make real-time adjustments to their diet, seek medical attention or better manage dosages of vitamins, food types and exercise, among other factors, to ultimately lead healthier lives. Symboticware is an early-stage venture that has developed a unique technology that monitors and regulates productivity in an underground mining environment. This is accomplished by the SymBot, a proprietary device and platform that enables real-time data collection and analytics, allowing users to make better decisions. Over the past year, Symboticware has continued to partner with local mining companies to test and use its technology, and has also recently ventured into new markets both nationally and internationally with customers in the United States and South America. TesMan’s mandate is to reduce underground mining extraction costs by adopting motion capture technology to jumbo drill alignment with the aim of improving drilling accuracy, efficiency and overall productivity. This initial product offering is the first in a portfolio of pending sensor-based technologies that the company is developing to address an array of challenges in the underground global mining industry.